Behind the Curtain is a series highlighting IU Archives staff, partners from various departments of the IU Libraries, and students who make all of our work possible. What is your role in the IU Archives? Katie works as a processor in the IU Archives. She helps with the arrangement and description of record collections. What is your educational background? Katie’s educational background is rather impressive. In 2012, She graduated with a BA from Purdue University, where she majored in Art History and minored in both English and History. In 2014, she graduated from the University of Colorado with her MA in Art History. She is currently working on obtaining her MLS with a specialization in Archives and Records Management. She will graduate in the summer of 2019. She was recently accepted into the PhD program in Information Science at IU and will start fall of 2019! What previous experience do you have in archives? Her fascination with the archival field began at a young age. This was due in part to her parents, both of whom are history professors. This fascination followed her into adulthood, all the way to the University of Colorado. While working on her master’s thesis, Katie spent a fair amount of time with the Jerome P. Cavanaugh Papers and Detroit Free Press photographs at the Walter Reuther Library of Labor and Urban Affairs. Though she had enjoyed her previous use of online archival resources, it was this experience that held the greatest impact on her. “It was pretty much the transformative experience of my life…. that hands-on experience was big for me,” says Morrison. What project are you currently working on? Katie curated an installed an exhibit here, “Thomas Sebeok and the Scientific Self,” using materials from his collection (she is also close to finishing the processing of that collection). She wanted to show how Sebeok brought together a range of disciplines in his scholarship. “There remains such a mystique about how academics think and work, and I wanted to demystify that a bit while still acknowledging his prolific intellect.” The exhibit is open through the end of March. Favorite experience in the IU Archives? Despite being a “cynical person”, Katie says that every week brings a new favorite experience. “Everything from reading letters written in the 19th century, to installing an exhibition, to encoding finding aids…it’s all a joy,” she says. She particularly enjoys assisting with outreach and class sessions with undergraduates. Title and Role: Jennifer is the Head of Monographic Image Cataloging for the Cataloging Department at the Herman B Wells Library. The Cataloging Department helps IU Libraries’ users discover the collections curated, purchased, and licensed by IU Libraries through tools such as IUCAT, WorldCat, Archives Online, Image Collections Online, and Media Collections Online. Educational background: Jennifer wanted to study everything as an undergraduate, which is perhaps why she was an English major, with a heavy focus in Anglo-Irish literature, and minors in history and biology. While earning her B.A. 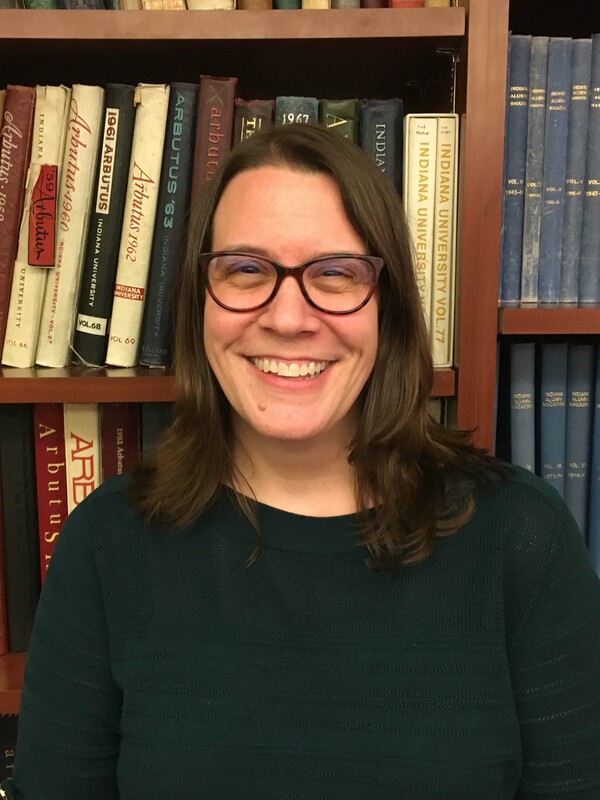 at Rutgers, Jennifer spent a few weeks in Ireland and became fascinated with special collections and, to her surprise, the art of science of special collections librarianship. She moved to Bloomington to complete a M.L.S. degree with the rare books and manuscripts specialization at Indiana University. Work Experience: As a graduate student at IU, Jennifer had the good fortune of being able to work at the Chemistry Library, the E. Lingle Craig Preservation Lab, and the Owen County Public Library. 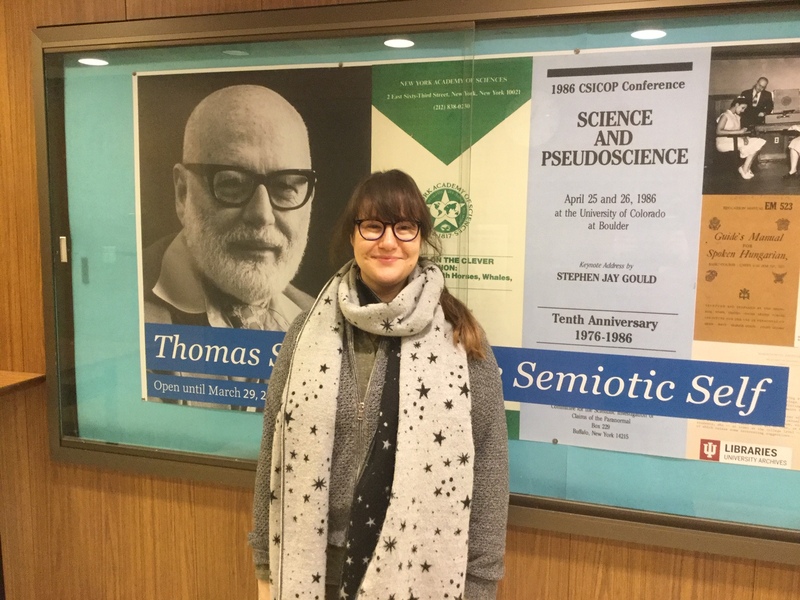 Shortly after completing a fascinating cataloging internship at the Lilly Library, Jennifer accepted her first full-time appointment as a copy cataloger in the Wells Library Cataloging Department. Although it was not her initial plan to stay in the Midwest, she quickly learned that there was MUCH more to learn about cataloging and metadata—and IU is one of the best public universities in the Unites States to do just that. Jennifer worked as an original cataloger before accepting a faculty appointment as a Metadata/Cataloging Librarian, where she managed multiple digital collections metadata projects. In what has proven to be the biggest surprise in her career thus far, Jennifer found that she loved managing processes and helping her colleagues succeed in their respective roles. She has worked as a Cataloging Department manager since 2013. 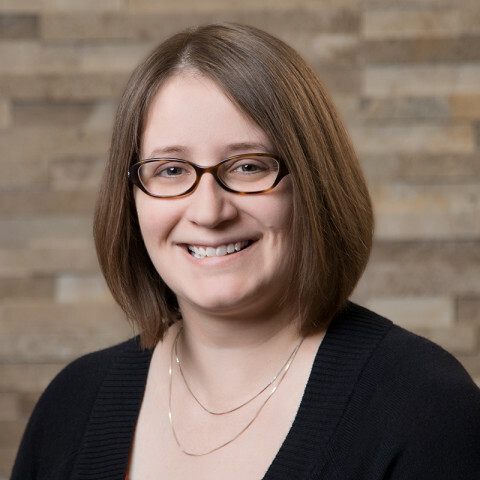 Work with the IU Archives: Jennifer has worked with IU Archives since 2011, when the Cataloging Department first began cataloging collections curated by IU Archives. She remembers that time fondly, not only because she got to play in the archives, but because it was her first real taste of developing metadata strategy in an environment that was new to her. Compared with books, archival collections have different description and access needs and Jennifer enjoyed learning more about how users of primary sources find information. 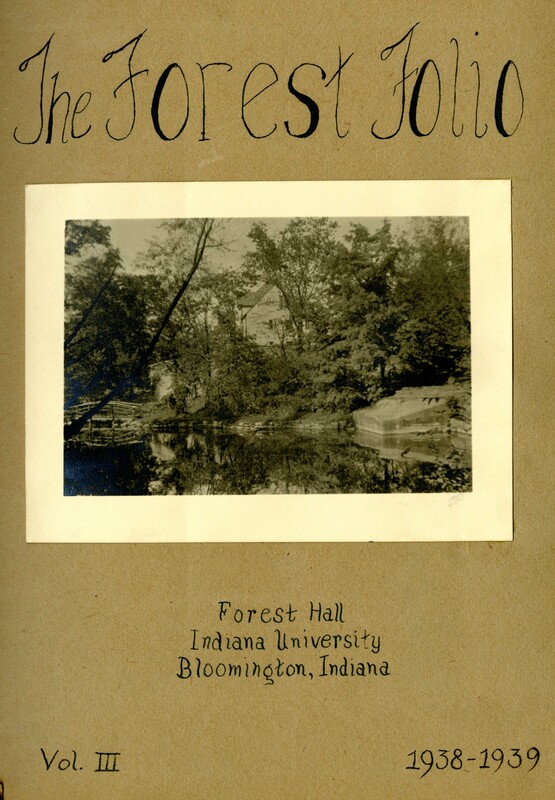 Favorite item or collection in the IU Archives: There are so many contenders but among my favorite is C631 Women’s Residence Hall scrapbooks mentioned above. I appreciated learning more about what it was like to attend a university, particularly as a woman, in the decades leading up to World War II. Which parts of those experiences were unique to IU? Which were typical of American higher education during that time? Fascinating! Current project that relates to working with the IU Archives: Next up in my cataloging queue is the Parks House publications. The collection includes humorous publications created by the male student residents of the Wright Quadrangle on the Indiana University Bloomington campus from 1960 through at least 1980. As a cataloging manager, I find my time not only devoted to cataloging but also finding ways to shift the Cataloging Department’s resources toward providing access to unique, special collections, like those of the IU Archives. This is no easy thing to do, given that Libraries acquires and licenses more and more electronic resources, while still building its rich physical collections. Learned by working with the IU Archives: Working with IU Archives led to insights in an area of my professional interest, the history of library discovery technologies. Although much of the early history of IU Libraries was lost to fires, IU Archives remains the best repository for information about how the Libraries operated. What is your role in the IU Archives? Duncan assists in the extensive task of digitizing items that are part of the University Archives collection. These items vary from entire subject folders of important faculty and alumni papers to collections of documents on specific topics. Duncan also helps with patron and researcher needs by scanning requested items, such as articles from old student publications, or the CV from a lecturer who visited IU nearly a century ago. That’s pretty amazing when you think about it! While many of the student workers at the Archives are MLS graduate students, it’s not unusual to have students from other backgrounds as employees. Duncan is currently an undergraduate just finishing his freshman year. He is a student in the College of Arts and Sciences’ Department of Central Eurasian Studies (CEUS) and is working on his degree in Tibetan History and Culture. Next year he plans to continue his education closer to family in California. What previous experience do you have in archives? During high school, Duncan spent much of his time in the school’s darkroom and photo lab. While poking around the library storage closet, he found a bag containing photo slides from the mid-seventies. During his senior year, he undertook the task of scanning and uploading the slides so that they were accessible to alumni. Many of the photos showed the racial conflict and unity that existed in Seattle’s inner-city high schools during that time period. Duncan found joy in knowing that his work was helping to preserve the scenes captured in these long-forgotten images. What attracted you to work in the IU Archives? Favorite item or collection in the IU Archives? 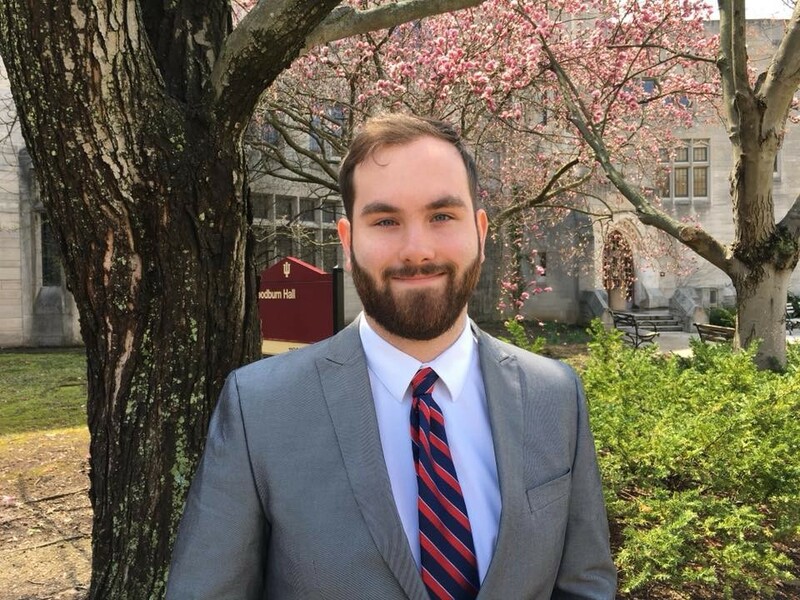 Duncan’s current project focuses on digitizing some of the papers of Kate H. Mueller, who served as the Dean of Women from 1937-1969. These papers were created during her first few years of service, and show the history of a very different time at IU, and the restrictions regarding female students. “Many of the documents relate to privileges such as staying out past curfew (lights out at 11:00 for freshmen! ), or the problem of fraternity men keeping everyone awake.” Apparently, fraternity members would spend their nights serenading female students into the hours of the early morning. “What’s most clear in the documents is how much Dean Mueller cared about the students she was responsible for, as she and President Wells worked together to help struggling students stay in school and make the grades they needed to remain enrolled.” These documents certainly sound like they would be worth a read! To learn more about this collection, see the Dean of Women’s Office records! Favorite experience in the IU Archives? What is something you have learned about IU by working in the Archives? The University Archives plays a crucial role in preserving the history of Indiana University. There is something for everyone to learn at the Archives, whether the individual is staff, student, or a member of the community. Student workers, in particular, learn many things about university history or practical knowledge of their studies. What Duncan has learned has a very practical element. Title and Role: Naz is the Head of the Copyright Program for the Indiana University Libraries. The Copyright Program exists to help both IU affiliates and researchers navigate the often murky waters of copyright law. Educational background: Naz has a broad and varied educational background. While he majored in psychology and biology as an undergraduate, he also took many courses in musicology, art history, literature, and language studies. At first, Naz was considering a career as a clinical psychologist but ended up going to law school at Temple University. Following law school, Naz went on to earn a master’s degree in information science from Drexel University. 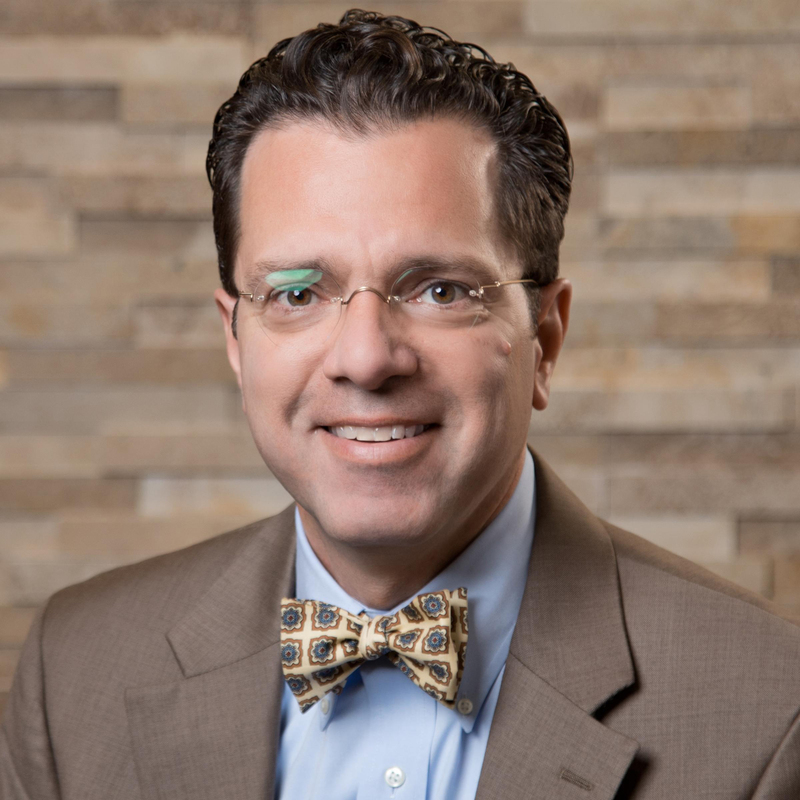 While working as a law librarian and library administrator in Philadelphia, he completed his Ph.D. in philosophy at Villanova University. Work Experience: Before coming to Indiana University, Naz worked as a law librarian and library administrator at Temple, Princeton, Villanova, Rutgers, and Cornell Universities, as well as the University of Pennsylvania. His first position with Indiana University was as Assistant Director for Copyright and Administration for the William and Gayle Cook Music Library in the Jacob’s School of Music. Work with the IU Archives: Naz’s work with the University Archives involves addressing legal issues that arise their ongoing efforts to digitize archival resources and make them accessible online. This includes determining the copyright status of published and unpublished materials held by the University Archives, as well as the fair use of said materials for education or research purposes. Favorite item or collection in the IU Archives: Naz’s favorite items in the Archives are the recordings of the Indiana School of the Sky. 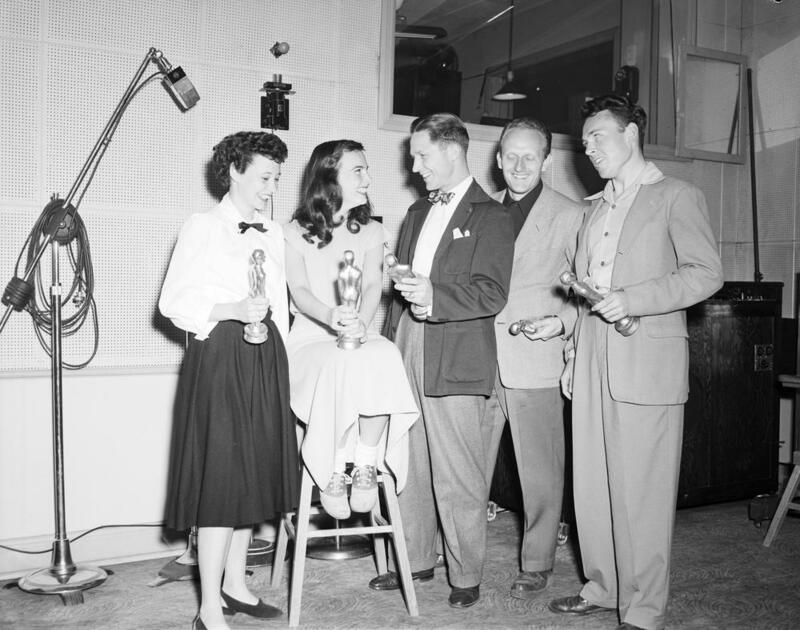 These programs, produced by the IU Department of Radio and Television from 1947 until the early 1960’s, consisted of 15-minute episodes for elementary and high school students. The wide range of topics covered by these programs included science, music, civics, current events, and life skills for young adults, such as dating and applying for jobs. Current project that relates to working with the IU Archives: Currently, Naz is working on the Media Digitization and Preservation Initiative. As part of a university-wide effort, the goal of this initiative is the digitization and preservation of Indiana University’s rich collections of time-based media and to make them as accessible as possible. Behind the Curtain is a series highlighting IU Archives staff, partners from various departments of the IU Libraries, and students who make all of our work possible. Continue to follow over the coming months to read how and who make the magic happen! Role: Sara is a volunteer at the IU Archives. As part of her work, she assists the Director, Dina Kellams, with a variety tasks including: accessioning and processing new collections, assisting with reference questions, scanning and digitizing items, preparing exhibitions, and assisting with the very necessary and less “glamorous” things like filing. This has given Sara the opportunity to learn a little bit of everything that happens in the IU Archives. Sara has also had the opportunity to work with and learn valuable information from other archives staff. She has learned how to process born-digital items, create blog posts and exhibitions, and assist in managing records at the IU Warehouse. Educational background: Sara already has an advanced degree in Russian literature. Currently, she is working to finish her Masters in Library Science with a specialization in Archives and Records Management. Previous Experience Prior to her work in the University Archives, Sara worked at a rare book library for three years. Favorite item or collection in the IU Archives: Of the many collections held by the IU Archives, Sara says she’s a little bit in love with the Cecilia Hennel Hendricks Family Papers. There’s so much in the collection that Sara has used it for several of the IU Archives pop-up exhibits. 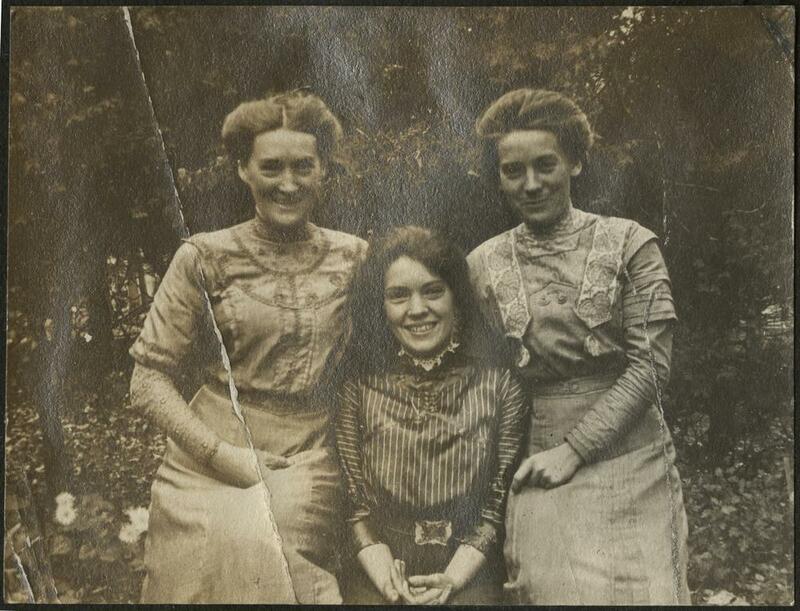 There were three Hennel sisters who attended IU in the early twentieth century and later went on to become faculty. After marrying in 1913, Cecilia moved to Wyoming with her husband to run a bee farm (how cool is that?!). Upon the passing of her husband, she returned to IU to teach in the English Department. Cecilia’s sister Cora was the first person to receive a PhD in Mathematics from Indiana University. The collection is full of Cecilia’s letters home describing all of the events in her life and the food she cooked. It also contains items and information about beekeeping, local and international politics, mathematics, travel, IU life, and so much more. There’s also correspondence from various family members which leaves you with an understanding of just how much they all loved each other. Another collection Sara has found to be of great interest and has enjoyed working with is the Avis Tarrant Burke Papers. Like the Hendricks Family Papers, this collection contains items from multiple individuals of the Burke Family, including love letters from each generation.